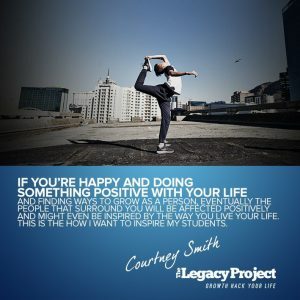 Courtney Smith is born and raised in Cape Town. He started from humble beginnings where he would compete in dancing competitions. After he matriculated from Milnerton High School, he founded his own dance company called BorntoBreak which hosts multiple dance classes for kids in the community to keep them active, engaged and off the streets. 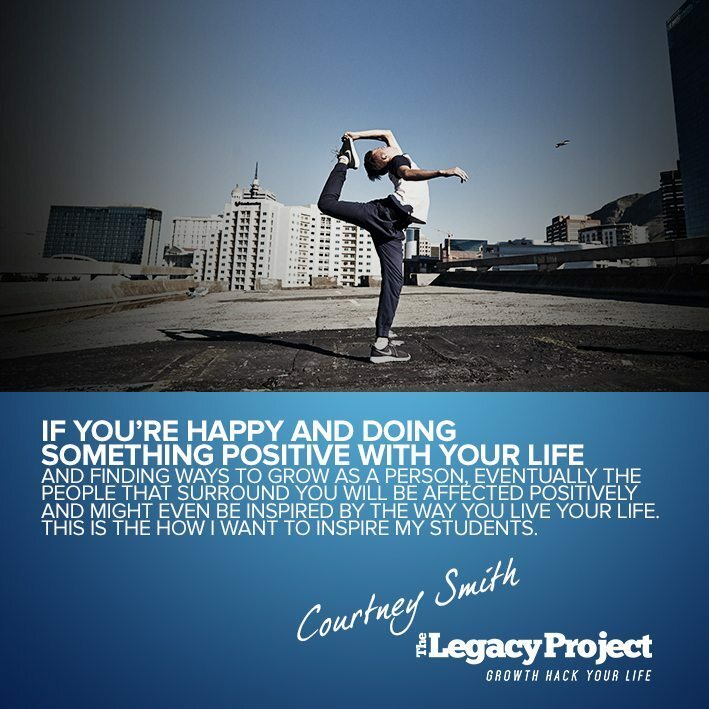 Courtney also supports his now, single parented home through his dancing and has really followed his passion for dance and has made a name for himself in his community. He has performed at the Channel O Loerie awards and has works with great dances such as Blake who finished third at South Africa’s favorite talent show SA’s got talent. Courtney is making a name for himself one dance move at a time, not only by following his dreams but by empowering young minds through dance. 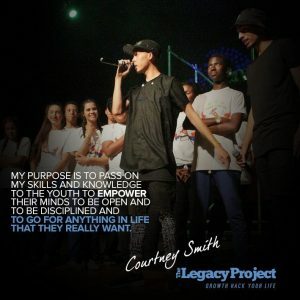 Spend 2 days with Courtney Smith? My Definition Of Success | Success to me is basically goals I have set for myself and then reaching those goals, majority of the time I have reached those goals by myself with no help or support. 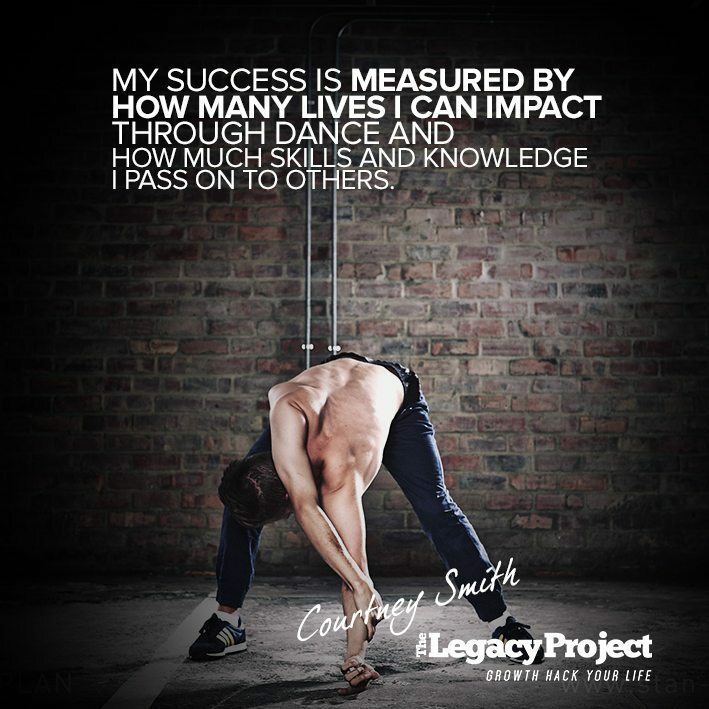 My success is not determined by how much money I have made or cars I could buy, my success is measured by how many lives I can impact through dance and how much skills and knowledge I pass on. I Am Driven By | My surroundings as well as the people I come into contact with. My Highlights | performing at the Channel O Loeries Awards with Ubuntu Bboys, starting my dance classes where the classes started at my old high school and then I got a studio to teach my students in whilst I watched them grow. Another highlight is working with Blake the leader of the group Street Stylers who finished third in the talent show SA got talent and last but not least a highlight was hosting a fundraising show for my old high school to get mirrors to sponsor Milnerton High School to improve their performing arts department. The Difference Between Good And Great | is simply self motivation and practice because if you do not put effort into what you do and motivate yourself then greatness cannot be achieved. Passion also plays a big factor, if you are really passionate about what you do then I doubt greatness will be that difficult to reach. A Key Talent | My talent is dancing my strength comes from within, my mindset and my body. Dancing takes hard work, hours of practice in the studio, plenty of rest and a focused mind. As a solo performer you need to be really exceptional to support yourself financially and with some thought and marketing research I turned to teaching where I found a different path in the same career. The advice I can give is not to give up when one thing does not work but rather to keep your options open and keep your mindset right and not give up. It took me 6 years to find the right path to my career and the only advice which resonates within my life is that if you are really passionate and want to pursue a career which follows that passion, find out what works for you. Never let rejection and negativity slow you down and keep your mind focused on the short term goals you set because once reaching the smaller goals you will feel better about yourself and this motivates you to take on your bigger goals as the years go by. It worked for me and it could work for you too. Principles I Live By | I believe the meaning of life is finding your purpose and what makes you happy. No one is going to control your life except you. If you happy and doing something positive with your life and are finding ways to grow as a person eventually the people surrounding you will be affected positively and might even be inspired by the way you live your life. Lessons I Have Learnt | The lessons I have learnt in my life and career is that I should know my worth; it is pointless doing things for free when others make money doing the same thing you are doing. I have learnt that exposure does not pay the bills and if you provide quality you should get what you are worth. I have also learnt that depending on others creates a slight barrier and a hold on you when trying to further yourself and your career. Do not be scared to take things on alone and if you really need help ask for advice and find the right person to mentor you as you go along your journey to success. My Future Dreams And Ambitions | My dreams and goals I would still like to achieve is getting my students to experience the world stage and to perform for thousands of people. I also aim to keep bettering myself and my students not just as dancers but as people. Lastly I would love to open a huge warehouse to host different performing arts camps and classes so that I can motivate more of the youth and empower more minds to create a better future for our country. 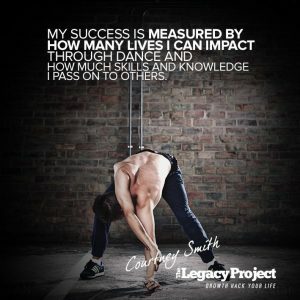 The Legacy I Would Like To Leave | The legacy I would like to leave behind and that I have already begun is to pass on my skills and knowledge to the youth, which will empower their minds to be disciplined and to go for anything in life that they really want. I could give the youth money and clothing but their minds will still be poor. Most of the kids I worked with built confidence and learnt to accept themselves through dance, I have found this really important and it makes me feel good to be able to empower themselves to have confidence and to develop a skill.